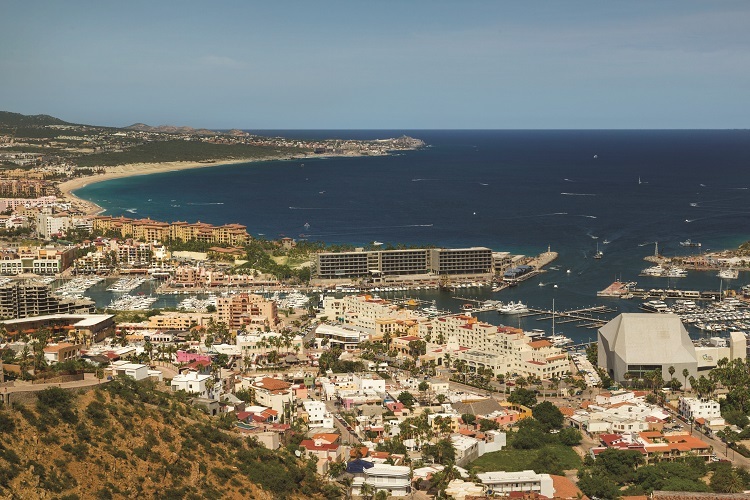 If you have yet to visit the Baja California gem of Cabo San Lucas, you’re missing out! Easily accessible from the United States, this lovely beach vacation destination can be reached by numerous modes of transportation. And once you’re there, you’ll be reluctant to leave. 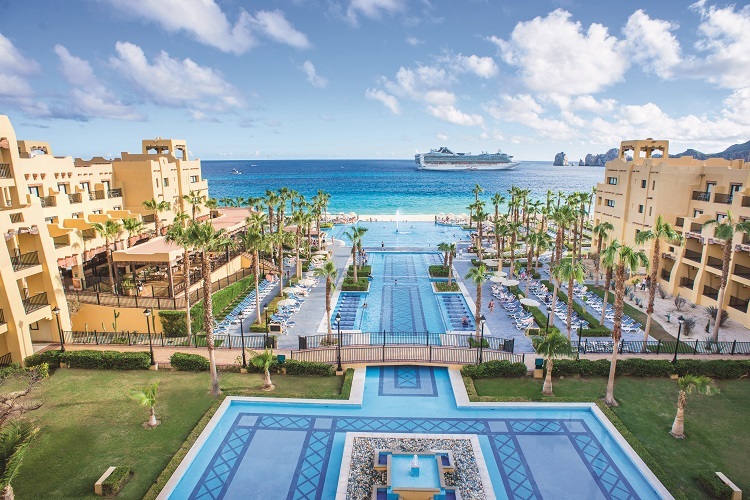 There’s no question as to why Riu Santa Fe is one of our top resorts in Cabo San Lucas, Mexico. This all-ages property sits on El Medano Beach, one of Cabo’s most popular swimmable beaches. Each day starts and ends with stunning views from your room or suite. Amenities like free Wi-Fi, fully stocked mini bars, and a balcony or terrace make your stay completely relaxed. The RiuLand Kid’s Club keeps young vacationers entertained with a range of recreational activities while the RIU Pool Party invites adults to one of the region’s most exciting events. Families will have fun at Splash Water World as they race down water slides to cool off from the sun. Make a visit to Renova Spa for a soothing massage or body treatment to unwind from the day’s excitement. Cuisine is a big deal at Riu Santa Fe with options from a full American breakfast buffet to Mexican, Italian, and Asian dishes. Snacks and beverages are available 24 hours a day to make sure your cravings are always satisfied. Book and SAVE on your vacation: Riu Santa Fe packages are available at All Inclusive Outlet. 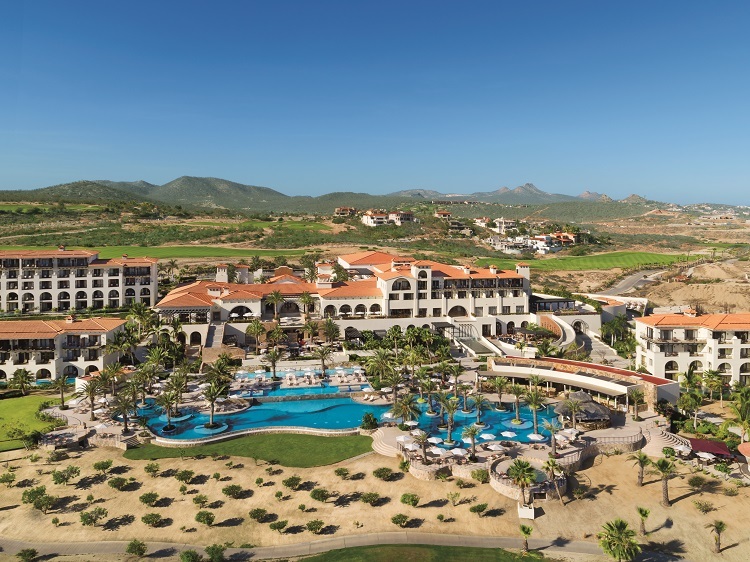 Secrets Puerto Los Cabos Golf & Spa Resort brings sophisticated vibes to the all inclusive resort experience. Their Unlimited-Luxury® program is designed for adults who seek indulgence beyond their wildest dreams. You’ll be spoiled with 24-hour room service, concierge service, and pool and beach wait service, all at no extra cost. Accommodations deliver maximum comfort with pillow menus, private balconies or terraces, whirlpool tubs, coffee makers, and mini bars. 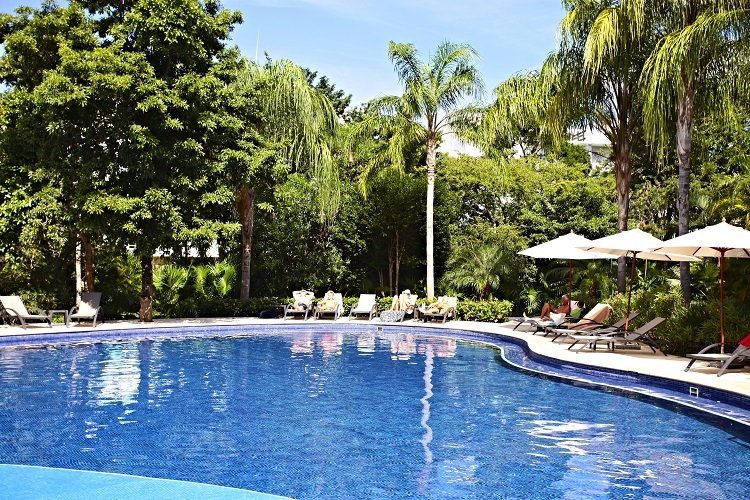 Preferred Club members receive additional luxuries like personalized check-in and check-out, access to a private pool and the Preferred Club Lounge, and special concierge service. Unique activities and adventures are available day and night, including movies on the beach and guided tours of San Jose del Cabo’s finest art galleries. Yoga, wine and tequila tastings, cooking lessons, the fitness center, and an infinity pool are also included. Theme nights, beach parties, and karaoke will have you celebrating your vacation well into the night. Book and SAVE on your vacation: Secrets Puerto Los Cabos Golf & Spa Resort packages are available at All Inclusive Outlet. An elegant oasis, Le Blanc Spa Resort Los Cabos offers a refined experience for guests who set the bar high. You’ll be treated to free round-trip airport valet so the relaxation begins the minute you arrive. Personal butler service meets your every need while accommodations feature a bottle of wine upon arrival, comfort menu, liquor cabinet and mini bar, and more. 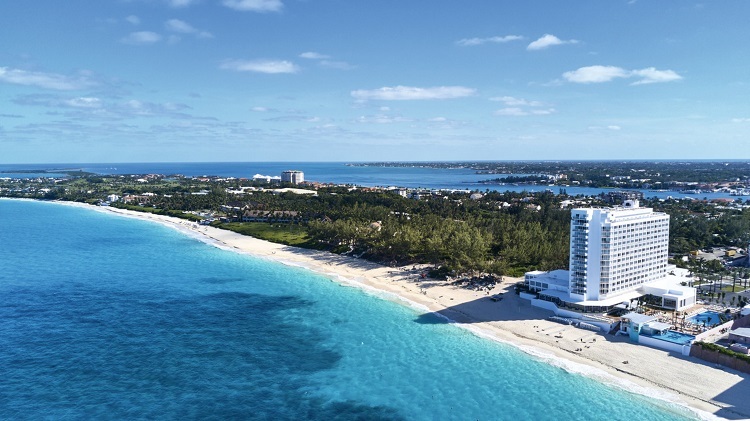 Four resort swimming pools provide sweeping views of the beach while the spa delivers a level of relaxation few visitors have ever experienced. Enjoy a complimentary hydrotherapy session where you can sink into the whirlpool tub, detox your body in the sauna or steam room, and unwind in the pools. Refreshed and rejuvenated, you’ll be ready to dive into an upscale dining experience. French, Italian, Asian, Lebanese, and Mexican cuisines along with seafood and brick oven pizzas are served in elegant and laid-back atmospheres. Top-shelf beverages are to be enjoyed by the pool, with your meal, or even in the comfort of your suite. Book and SAVE on your vacation: Le Blanc Spa Resort Los Cabos packages are available at All Inclusive Outlet. 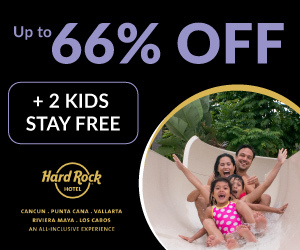 An all inclusive, family-friendly adventure awaits at Paradisus Los Cabos. The resort is located on a safe, swimmable beach and is less than 20 miles away from San Jose del Cabo International Airport. Attention to detail is evident in the well-appointed guest suites. Take in beautiful ocean or garden views from your private terrace. Enjoy drinks from your mini bar. You can even see what’s playing on your flat screen TV. If you’re feeling adventurous, get involved in resort activities like beach volleyball, Latin dance classes, or a tequila tasting. Hit the Gabi Club for an Elvis Presley tribute or one of several other themed parties. Meanwhile, young guests will have a blast at the Kids Zone, which boasts treasure hunts, piñatas, and an exclusive lounge. Teens will also appreciate their own hang out spot with games, sports, and movie nights. In between all the excitement, savor delicious meals from fresh salads and pizzas to sushi rolls and quesadillas. And of course drinks are always flowing at the pool, on the beach, or inside one of the resort’s stylish adults-only bars. Book and SAVE on your vacation: Paradisus Los Cabos packages are available at All Inclusive Outlet. Experience the ultimate in resort luxury at the all-ages Dreams Los Cabos Suites Golf Resort & Spa. Here you’ll find incomparable views of the Sea of Cortez and easy access to the region’s best golf courses. Simply walking through the resort is a delight as you marvel at the beautiful landscaping and the colonial-inspired decor. And with the all inclusive Unlimited-Luxury® experience, your stay includes everything you need for a memorable vacation! 255 elegant suites feature furnished balconies or terraces, pillow menus, free Wi-Fi, fully stocked mini bars, and more for a relaxed stay. 24-hour room service allows you to spend a quiet night in while you enjoy the resort’s delicious cuisine, whether it’s a Mediterranean dish or a mouthwatering steak. But don’t forget to experience the elegant and laid-back atmospheres of their specialty restaurants anytime that craving strikes. Soak up the sun at one of three swimming pools, including an infinity pool, children’s pool, and adults-only pool. A stretch of private beach is the perfect spot for additional sunbathing. Active types can play tennis, take dance lessons, and work out in the fitness center. Kids can make new friends at the Explorer’s Club (for ages 3 to 12), which combines learning and fun to great effect. And of course, nearby golf courses welcome players to a round against Mexico’s stunning scenery. Book and SAVE on your vacation: Dreams Los Cabos Suites Golf Resort & Spa packages are available at All Inclusive Outlet. 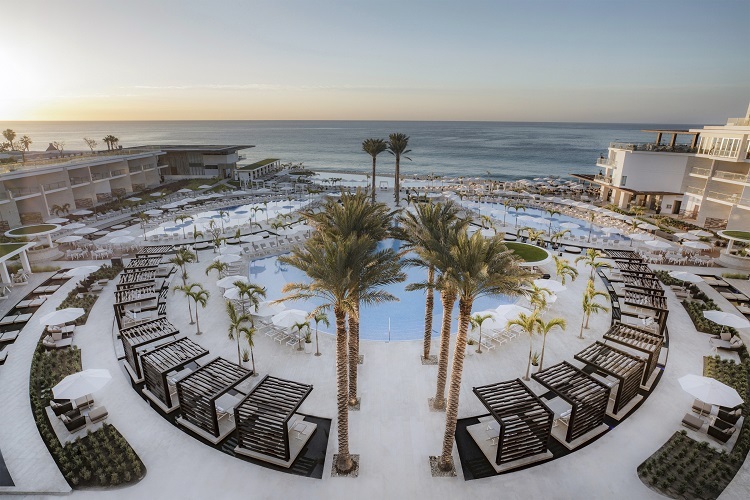 Hyatt Ziva Los Cabos might just have the perfect location: directly on the beach, 10 minutes from the city, and 20 minutes from the airport. 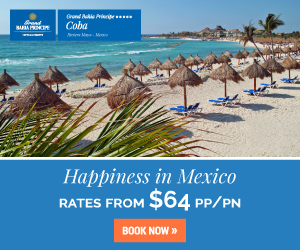 This family-friendly resort offers an all inclusive vacation for moments of rest and plenty of time for fun. Relaxing is best when you’re by one of 4 pools or 2 hot tubs. For nonstop excitement, the KidZ Zone water park features 5 slides, a splash pool for toddlers, and a playground. Active guests can visit the oceanfront fitness center where gorgeous views will be the inspiration they need to power through their workout. Once you’ve built up an appetite, seven restaurants invite you to try world-class flavors ranging from Spanish to French. A snack bar, café, and 24-hour lounge area are perfect for a quick bite throughout the day. Adults can hang out at any of the seven onsite bars and lounges where unlimited drinks are served to their liking. When it’s time to wind down, your spacious suite features a hydro massage tub, in-room electronics, a fully furnished terrace, and more. Families can enhance their stay in a swim-up suite for direct access to the pool or a multi-room suite for ample space. Book and SAVE on your vacation: Hyatt Ziva Los Cabos packages are available at All Inclusive Outlet. Take your Cabo San Lucas experience to the next level at Grand Velas Los Cabos. The resort sits on a stretch of golden-sand beach facing the Sea of Cortez for picturesque views. Guests of all ages will receive exceptional service and pampering every moment of their stay. Your stunning suite is the definition of a luxurious oasis. Indulge in your own Jacuzzi tub, 24-hour personalized concierge, Nespresso Coffee Maker, and mini bar. 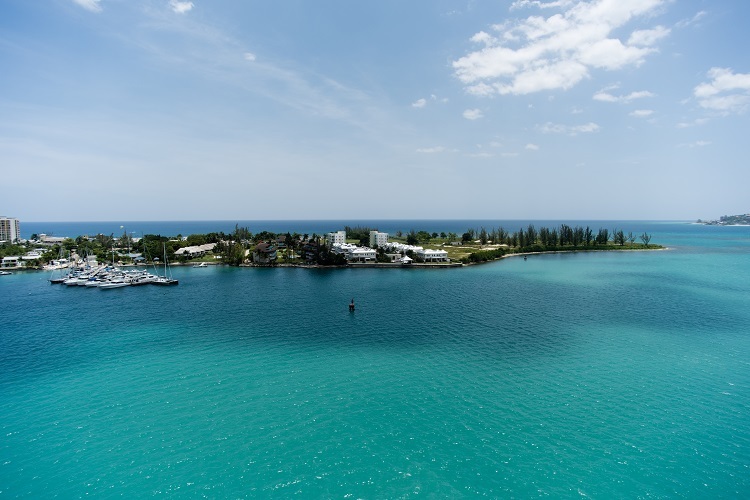 Family suites feature separate bedrooms and bathrooms, plus special details geared towards young family members like babysitting service and a welcome beach gift for kids. Satisfy your need for adventure with snorkeling, whale watching, or a camel ride along the beach (remember these may come at an additional cost). After a busy day, retreat to the holistic spa for a well-deserved massage. Embark on a culinary journey at the resort’s seven gourmet restaurants. Talented chefs use fresh, local ingredients to create your favorite meals. You’ll find everything from steak and the catch of the day to world-class cuisines and an 8-10 course tasting menu. Whether you’re sitting out on an open terrace or lounging in a more intimate setting, each bar boasts unique vibes, eye-catching décor, and handcrafted drinks. 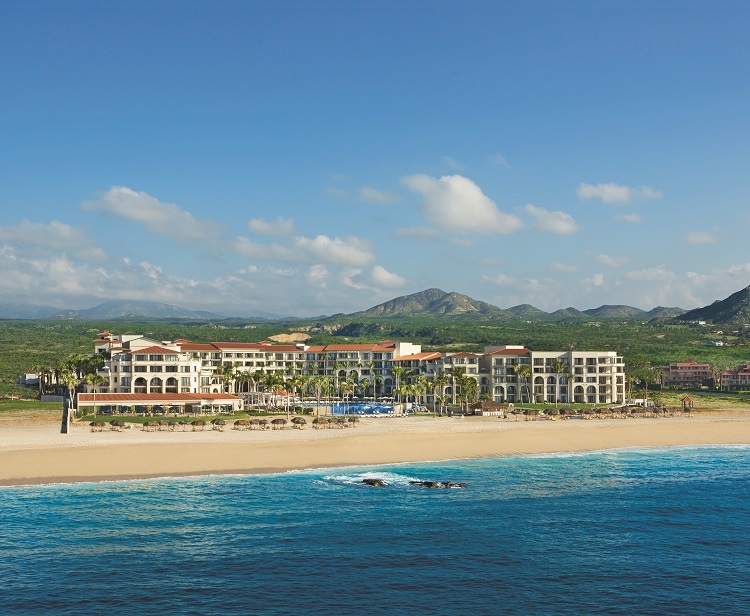 Book and SAVE on your vacation: Grand Velas Los Cabos packages are available at All Inclusive Outlet. 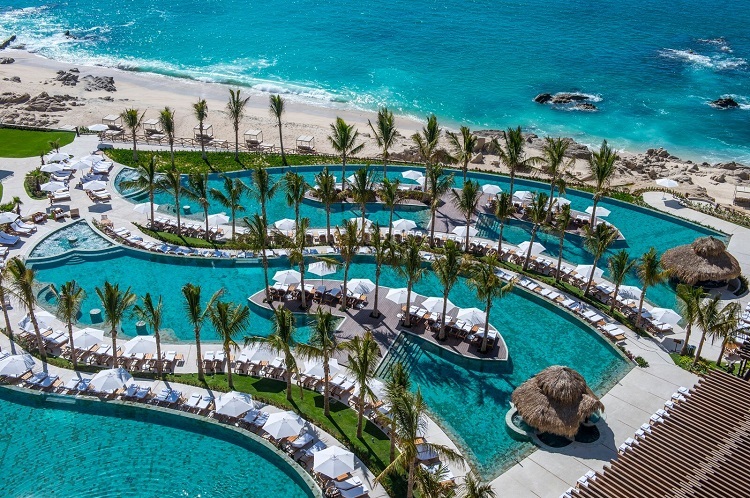 Escape to any of these resorts in Cabo San Lucas, Mexico for a top-notch vacation. The right property will elevate your experience for the rest and relaxation you deserve. 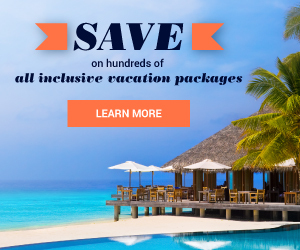 And when you head over to All Inclusive Outlet, you’ll find the best discounted Cabo San Lucas vacation packages to save big on your getaway!